Why the future of robots is human. Last year was the year of the robots, you couldn’t get away from the headlines declaring robots are going to replace our jobs and speculation on the future of automation and artificial intelligence (AI). This year the robots continued to show us humans what they are made of, with Chrissy Teigen’s public “shading” of Sophia The Robots’ makeup. At the World Economic Forum at Davos this year, AI and robotics was a key topic of conversation. Our prime minister in her speech addressed AI, the impact it will bring to the UK and how the Government plans to deploy it in a safe and ethical manner (with a new advisory board and the Centre for Data Ethics and Innovation, announced in the autumn budget last year). In her speech the PM also spoke of how AI poses one of the “greatest tests of leadership for our time”. However, if you step away from the sensational headlines, robots can create opportunities for us to make our lives more productive and easier, not only in the workplace but outside of work. For example, according to McKinsey, fewer than 5% of occupations can be entirely automated using existing technology. Research from Robert D. Atkinson and John Wu of the Information Technology & Innovation Foundation (ITIF) also found that while it is not certain that every job is safe, robots can’t do every job that humans can. According to the research, “…pessimists often assume that robots can do most jobs, when in fact they can’t, or that once a job is lost there are no second-order job-creating effects from increased productivity and spending”. Technology doesn’t wipe out jobs, it is creating them and it can help to make our lives more productive and us smarter humans. At Davos, Salesforce CEO Marc Benioff described how in his company they use AI to help employees make smarter and better-informed decisions with a robot called Einstein, who sits in on the company’s weekly meetings and offers important insights. There is another interesting angle as to why robots won’t necessarily be taking over the world. They don’t have the emotional intelligence and ability to empathise with others. 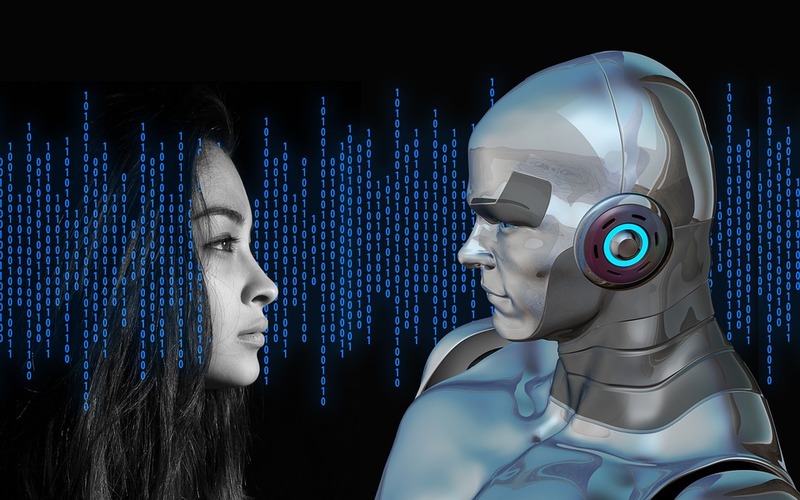 At a recent event I attended at IBM, there was discussion about how the team building Watson are working with poets and song writers to develop Watson’s communication so it can better understand human emotions and develop empathetic communication. For example, in situations where someone has lost their partner and is closing their bank account, a robot could not provide a human experience that would be sensitive to the needs of the customer. Human interaction and the ability to empathise with others will be among the most sought-after job skills in the future. According to Deloitte, soft-skill intensive professions will make up 63% of Australia’s job market in 2030. While this is just one small example of how robots can improve and not take over our lives, for those who work in automated roles it still raises the question, what happens when the robots do come? The government and businesses need to make it a priority to ensure workers in these roles can be re-trained in more specialist automation roles or moved into equal or higher-level positions. The government also needs to continue developing STEM skills and the curriculum to ensure children are gaining the skills they need to keep up with technological innovations. Regulating AI is also a minefield, especially when it comes to healthcare and the robots – but I’ll leave that to the Centre for Data Ethics and Innovation! As humans we need to use the skills that robots don’t have. Jobs won’t become obsolete as the robots still need to be coded and manufactured by a human brain but it is up to us to ensure we are skilled to prepare for the future, because technology won’t stand still for anyone.